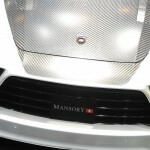 For more than 20 years, the company MANSORY is the first choice for refining exclusive top class automobiles and powerful super sports cars. 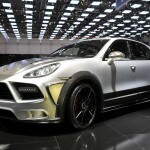 The focus is both on optimisations which underline the dynamic character of the car as well as measures for refining the exclusive equipment. 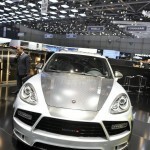 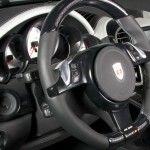 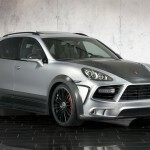 The subsidiary MANSORY Switzerland AG also follows this path with its newly designed individualisation programme for the current Porsche Cayenne. 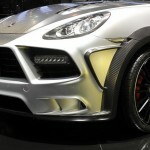 The tune includes an excessive aero treatment with a wide-body kit that extends the vehicle by 60 mm at the front and 80 mm at the back and also comes with numerous carbon fiber parts such as the bonnet, side skirts and rear diffuser. 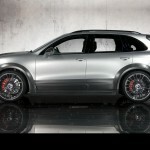 New daytime running lights and a set of 22-inch black alloy wheels shod in massive 295/30 tires further differentiate the SUV’s looks from its factory sibling. 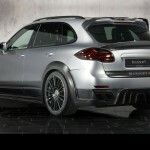 Under the hood, Mansory Switzerland upgrades the Cayenne Turbo’s 4.8-liter V8 with larger turbo chargers, a custom exhaust system, reprogrammed ECU and other mods resulting to an output of 690HP and 800Nm of peak torque at 4,800 rpm for a 0 to 100km/h (62mph) sprint time of 4.4 seconds and a top speed of 300km/h (186 mph). 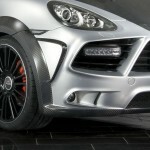 Mansory said buyers can also opt for a variety of interior enhancements and an electronic module for the air suspension to lower the SUV’s ride height by 45mm.